I made this dresser because my wife has a million clothes and needs more storage space. 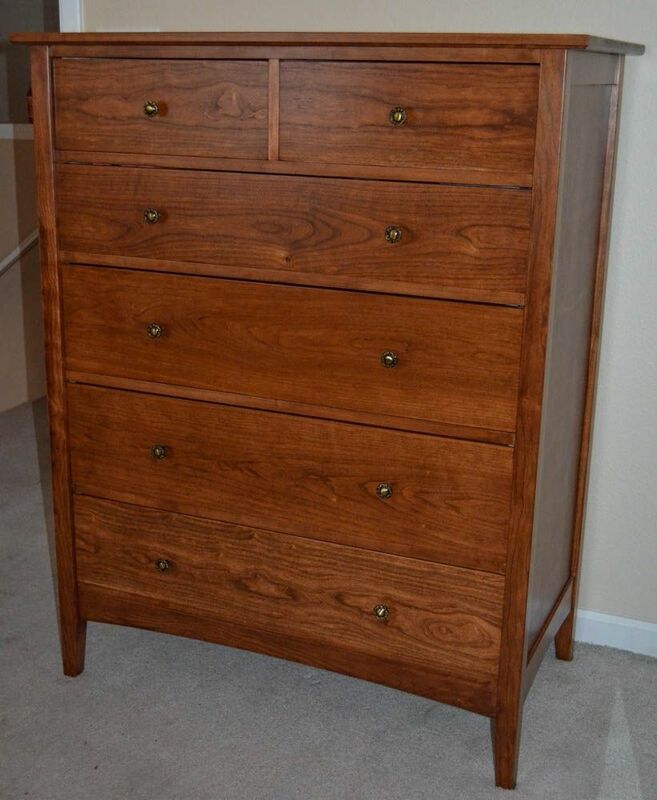 She loved the dresser because it has extra deep drawers, which seem to be hard to find. 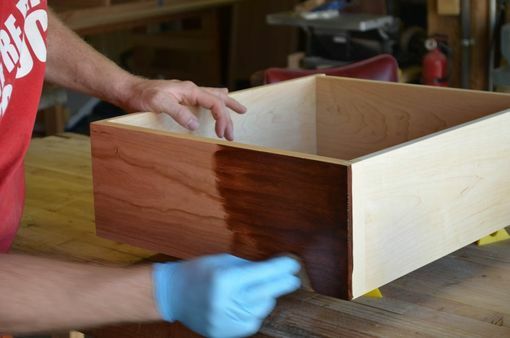 The Dresser is made of Cherry with the drawers made from Maple with Cherry fronts. 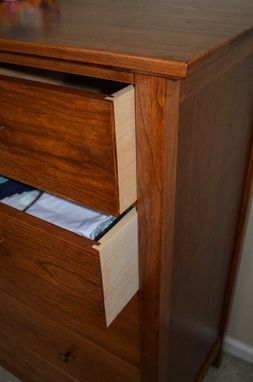 The drawers are constructed with lock joints and the frame has mortise and tenon joinery guaranteeing this dresser will stand the test of time! 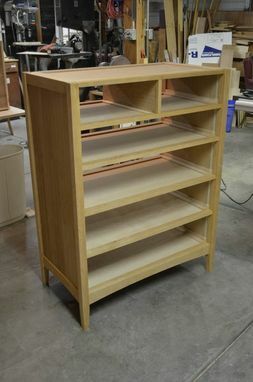 Stained with a Brown Mahogany Gel Stain and Finished with three coats of Semi Gloss Lacquer. Can be CustomMade to any size, color, or wood!